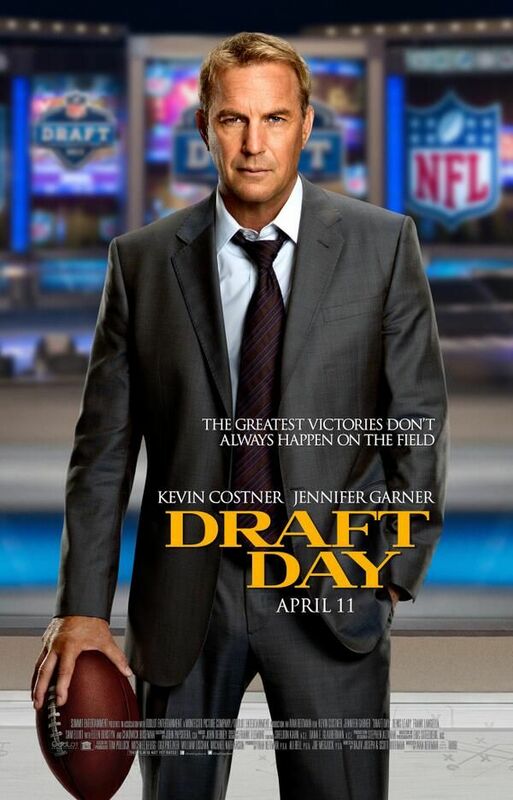 Summit Entertainment has released four clips from Ivan Reitman‘s upcoming sports drama Draft Day. The film stars Kevin Costner as the Cleveland Browns General Manager, who unexpectedly trades for the top overall pick in the draft, which is only 13 hours away. As the clock winds down, he must figure out how to use his prized possession while also dealing with headaches from his personal life. Clips are usually released closer to the release date, but Draft Day doesn’t open for a few more months. However, with football season winding down, Summit is giving the film a big push. In addition to these clips, they’ve also released a TV spot that will air during the Super Bowl pre-game. Whether the movie sticks in the minds of football fans by the time April rolls around remains to be seen. Hit the jump to watch the clips. The film also stars Jennifer Garner, Denis Leary, Josh Pence, Chadwick Boseman, Sean Combs, Sam Elliott, Terry Crews, Arian Foster, Ellen Burstyn, and Frank Langella. Draft Day opens April 11th.